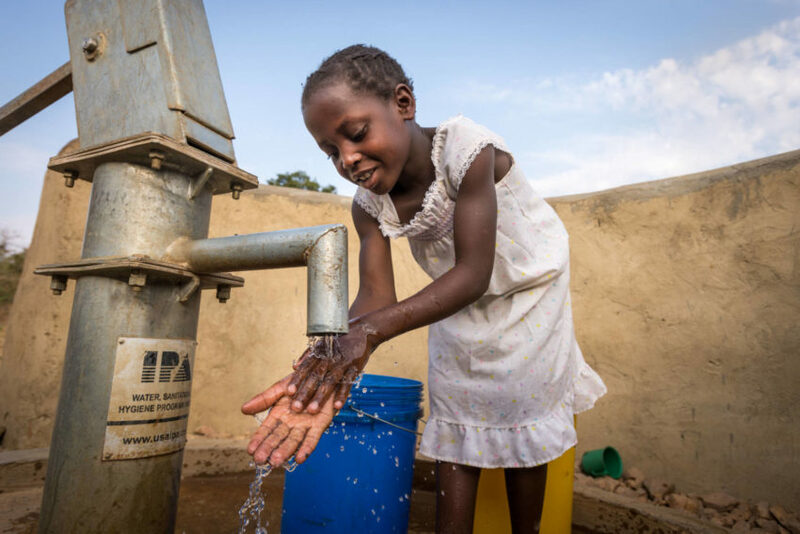 Nine-year-old Dorcas washes her hands at a World Vision-installed borehole well near her home in Zambia. Throughout my career, one subject has been near and dear to my heart: return on investment (ROI). As a Wharton MBA holder, and later in my 20 years at Procter & Gamble, I obsessed over this measure. I demanded a high ROI from the projects pro­posed to me, and I drove my teams for even higher returns. Every year, every quarter, every day, I was consumed by the relentless pursuit of greater produc­tivity for every dollar. 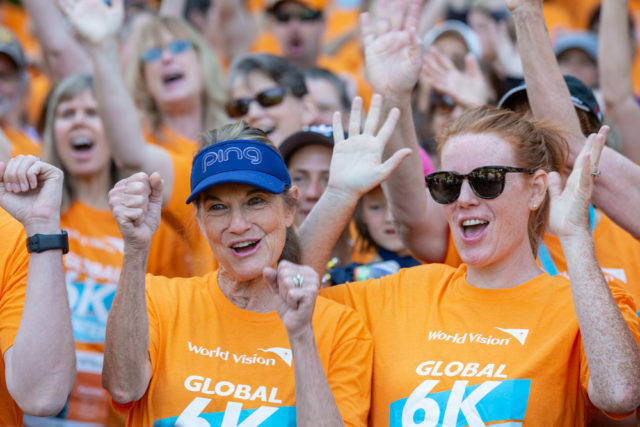 When I made the switch from the corporate world to World Vision — from for-profit to for-impact — I discovered that return on investment is even more important. Here, the ROI is saving people’s lives for kingdom impact. If you’re aiming for a dramatic and lasting change in a community, clean water is the key. Water-related diseases like diarrhea, cholera, dysentery, and typhoid can take down the toughest gladiator, so imagine what they do to a young child. Every day, nearly 1,000 children under 5 die from problems asso­ciated with contaminated water and poor sanitation. Clean water can change that number to zero. 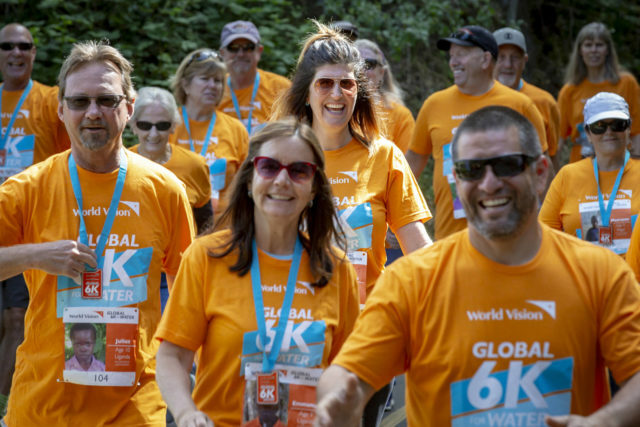 Through World Vision’s water, sanitation, and hygiene (WASH) programs, we reach one new person every 10 seconds and three more schools every day with clean water. We have deep experience, tried and tested solutions, and a bold plan to reach everyone, everywhere we work with clean water by 2030. With our presence in nearly 100 countries, the trust we develop within communities, and God’s continued help, we will get it done. This work came alive for me when I visited Zambia in 2015 and met 9-year-old Dorcas. This tough little girl was taking care of her grandmother — mak­ing sure she took her HIV medicine — as well as cooking, cleaning, and getting water every day. With all of these responsibilities, Dorcas didn’t have much time for school. I saw the pond where Dorcas used to get water. It was shared by animals, which often fell in — and sometimes couldn’t get out. A dog once drowned and decomposed in that pond, but the villagers had no choice but to continue to draw water there. Dorcas’ community desperately needed an investment, and it came from World Vision sponsors. After engineers installed borehole wells, Dorcas had fresh water to drink practically next to her house. And everything changed: Her grandmother’s health improved, Dorcas returned to school, and she shot to number five in her class. “I want to be first!” she told me. I know she’ll get there. I have no hesitation telling investors large and small that WASH is a great investment. But here’s the catch: The high return is not for you. It’s for a childlike Dorcas and her entire commu­nity, freeing them from the risks and restraints of contaminated water. We are honored to invest in solutions to the global water crisis. Beyond this, is there any better return than the poten­tial of new life in Jesus, who promises that we will never be thirsty again? Edgar Sandoval Sr. became president of World Vision U.S. on Oct. 1, 2018. Follow him at twitter.com/EdgarSandovalSr. Every child deserves clean water.